I have never liked most image editing tools. Photoshop and Gimp seem to complex to me. I generally just want to crop, resize and maybe color adjust. So I was happy to look over my daughter’s shoulder the other day and discover an easy-to-use free photo editing too. 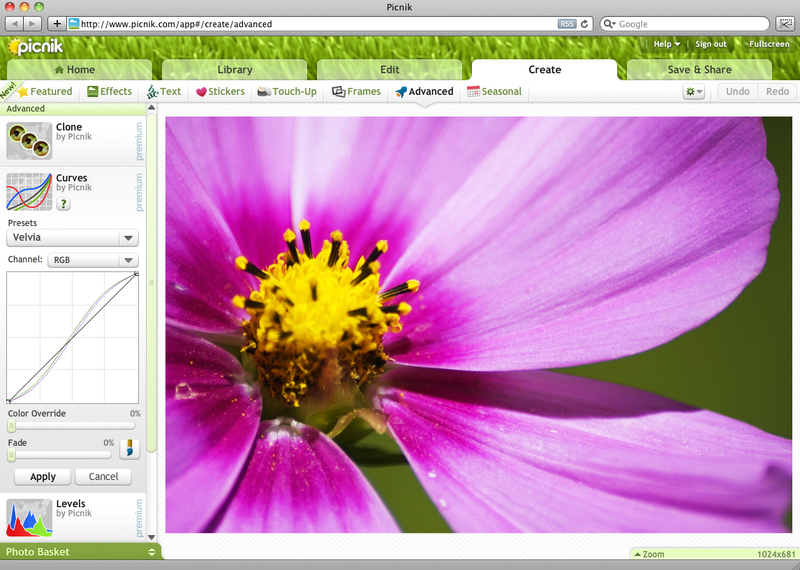 Picnik is photo editing online, in your browser. It allows you to upload and tweak photos and event to add effects, fonts, shapes, and frames. Picnik launched in September 2007. It integrates well with Facebook, Flickr, Picasa, Yahoo! Mail, and dozens of other APIs. In March 2010, Picnik became part of the Google family of consumer applications.